Nature, its forms and functions inspired this exotic piece. 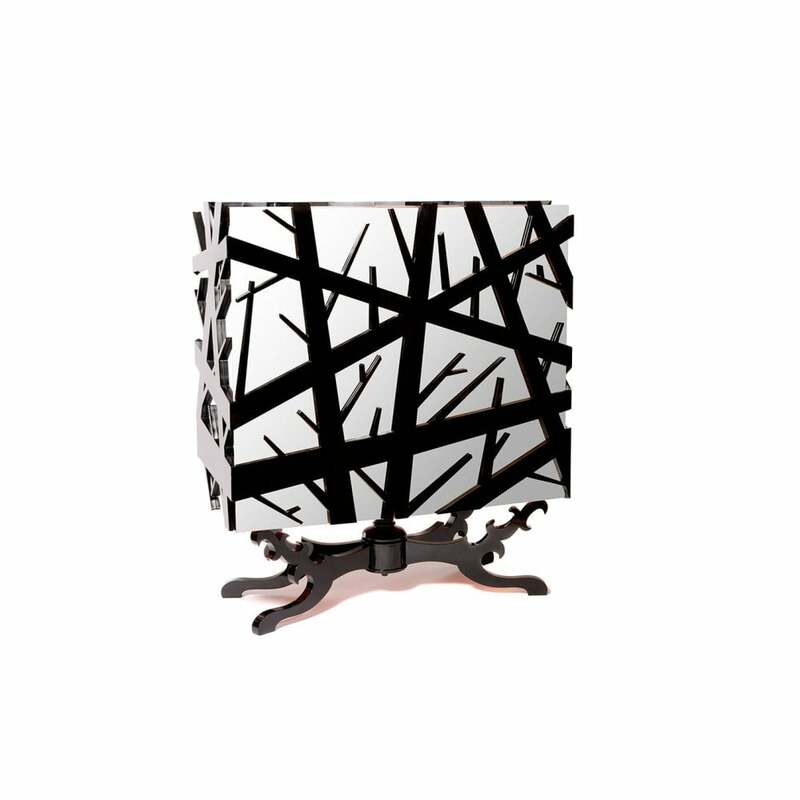 With the intention to reinterpret the outdoors and bring it inside, the structure of this unique piece is made of wood, which is then layered with stainless steel and an overlay of a stylized black lacquer branch fretwork. The base is carved from mahogany and the interior is compartmentalized with angling shelves covered in gold leaf finished with a translucent orange high gloss varnish.